It is definitely a personal weakness but I'm a sucker for recommendations. I booked a trip to Kanchenjunga after seeing a claim that the base camp there was the most beautiful campsite in the world and I did something similar with Mera Peak after reading that it provided the best mountain landscape a trekker is ever likely to experience. 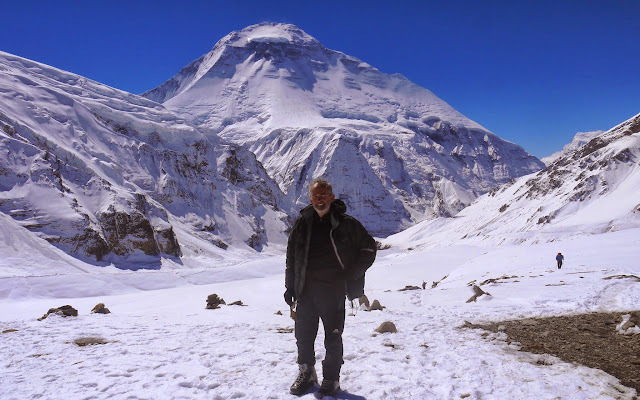 Once I had seen that Dhaulagiri Circuit was No 1 Adventure Travel's top 100 treks I was caught - hook, line and sinker! Despite the claim, and five previous trekking visits to Nepal, I didn't know anything about the Dhaulagiri Circuit before reading the Adventure Travel article. 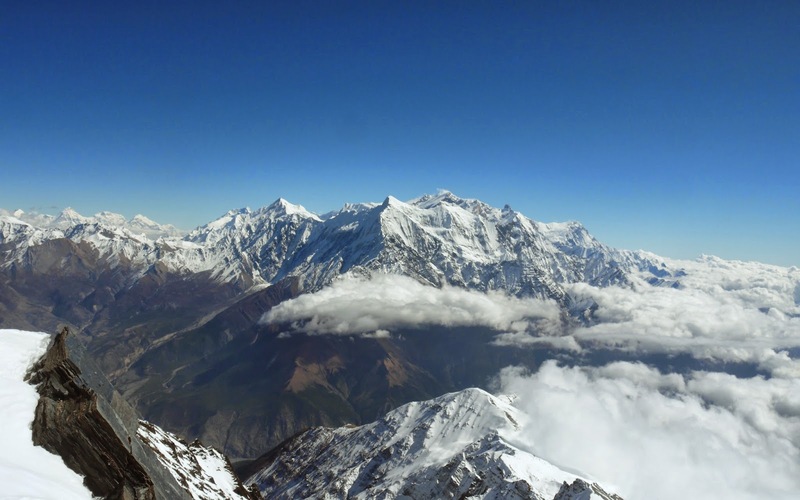 I'd seen the beautiful great white mountain, Dhaulagiri, on a trip around the Annapurna's, knew that it was the world's 7th highest mountain but had not logged the fact that you can trek round it. 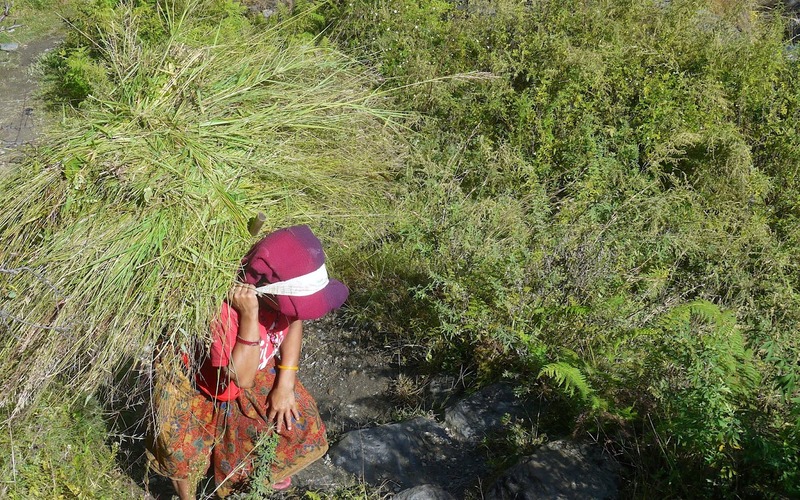 Perhaps it's not promoted as much because it is that bit tougher than other Nepalese treks (some argue it's the toughest three week trek): it doesn't make the schedule of all the tour operators. 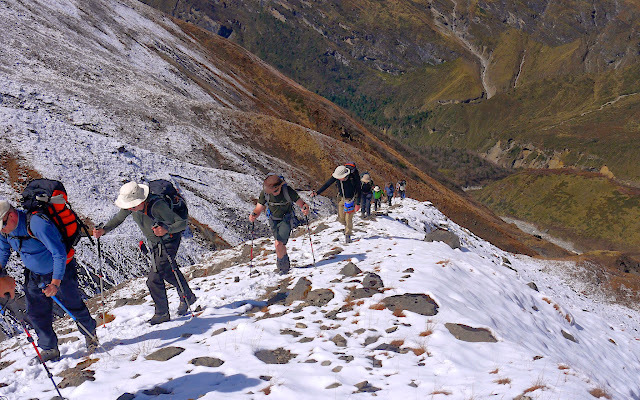 The Dhaulagiri Circuit has all the features of a classic Nepal trek. The standard itinerary consists of 13 trekking days including 2 acclimatisation days but provision for contingency, and getting to and from its start typically adds another week to the time needed for the trip. Like the Annapurna Circuit the route starts low (1,200 metres) and heads up a valley which it doesn't leave until it crosses the French Col at 5,400 metres and drops into the Hidden Valley. At this point most people grab the chance of bagging a 6,000 metre peak and climb Damphus (6,060 metres) before the final day's knee crunching 2,000 metre descent down to Marpha and the Annapurna Circuit. Having done it what do I think about the No 1 ranking by Adventure Travel? Well of course until I've finished the other 99 ( I think I've done about 20 of the top 100) it's impossible to say which I think is best. But I can understand how they came to that conclusion and it's certainly the best of the 6 treks I've done in Nepal. Why? Because in one trip it combines everything that makes trekking in Nepal so special. First it's a full blown expedition resembling the trips made by the early pioneers as they opened up the Himalayas in the fifties. 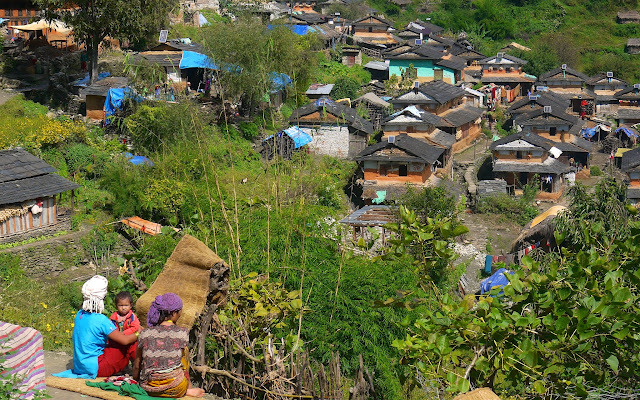 It has the classic start down in the farming villages of the Himalayan foothills - terraced hillsides and children everywhere - and climbs through a series of climate zones into an increasingly empty landscape. Second it's "long burn", with great views of the Dhaulagiri Massif kicking in early on Day 2 when you're still amongst the farmers at the bottom of the valley, but then gets ever more dramatic as you climb up. 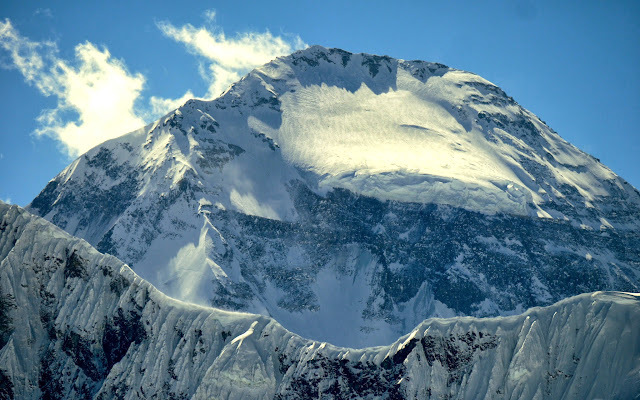 Fourth, with Dhaulagiri as on all great treks the trip has a genuine "summit" - a challenge which is both intimidating in terms of its anticipation and enormously satisfying if you manage to achieve it. Actually with Dhaulagiri you get two summits - French Col, 5400 metres, which is the high point of the circuit itself and Dhampus Peak which is conveniently just 60 meters over 6,000 - perfect if like me you spend your life trying to beat self inflicted targets. In terms of the momentum of the trek, the summit challenge takes place towards the end of the itinerary which I always prefer to half way round. Interestingly, those in the group who had been up Mera and Island Peaks felt that Dhampus was a more interesting climb. When we went up it was covered in a metre of fresh snow and in the sun the scenery was stunning. For me the views didn't quite match the view of the five 8,000 metre peaks including Everest that you get from Mera, but it came a close second. You are really close to Dhaulagiri itself; you get the western perspective of the Annapurna Massif; and with Manaslu in the distance you get three 8000 metre peaks. Finally like all the great trips to Nepal it's a true adventure. It takes you to places beyond the imagination of most people back home, forces you to confront your own physical and mental limitations, and hits you with the unexpected. And if like me you have seen the best of your fifties, it is simply life affirming and feeds an appetite to do more. Obviously I would recommend it but there are just a few things to be aware of. 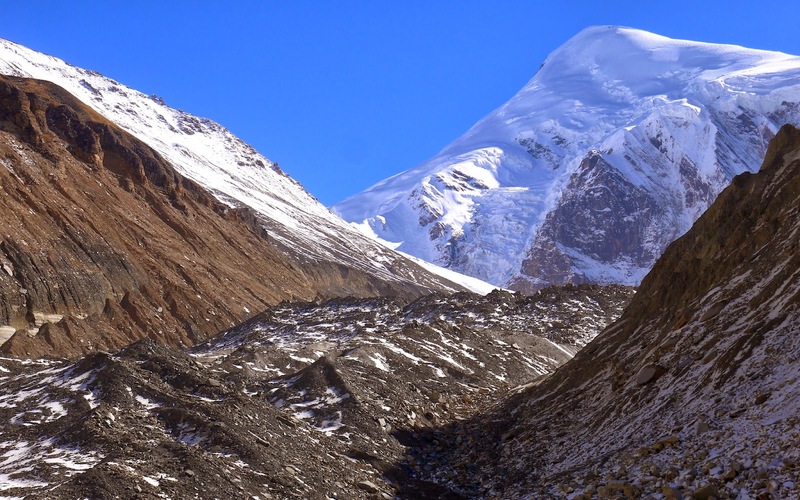 It's a tough itinerary despite the fact that the days are not that long, you have two acclimatisation days and you only spend two nights above 5,000 metres. Appearances here can be deceptive. Unlike trips around Everest and the Khumbu Valley you are camping all the way and don't have the option of getting warmed up in a tea house. It's cold, particularly at night, and for five days you're sleeping either on a glacier or on snow. The only place to get warm is in your sleeping bag. Once you get high you seem to spend a lot time in the sleeping bag! 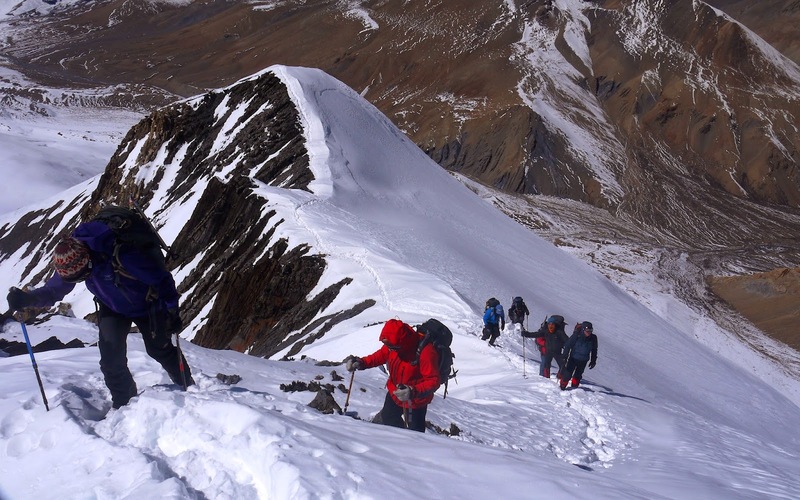 I've spent longer at altitude before (my recent trip to the Indian Himalaya for example) without any problem. With Dhaulagiri it's the combination of altitude and cold that made the trek particularly tiring. It's worth noting that this is not a popular trip with the porters and the only way to get them to carry the loads over the French Col is to pay them more money. There were 12 in our party - and everyone wanted to do the optional Dhampus ascent. 4 people didn't make the summit and interestingly it was the youngest four who failed to hit this particular target. Two of the four hadn't been above 4,000 metres before and perhaps based on their experience this shouldn't be your first high altitude trip. The Dhaulagiri Circuit also has a reputation for bad weather. Although we had some weather anxieties it was actually excellent and I'm struggling to establish if its reputation is well founded. I suspect what is actually the case is that the consequences of bad weather - because it's high and remote - are more dangerous than on some other treks. When we were there we came across groups a few days ahead of us on the Circuit, who had been stuck at high altitude for 4 days. So we were probably just lucky. I went with Jagged Globe, a new company for me, and was very impressed. It's a UK company based in Sheffield with a strong reputation amongst the climbing community. Particularly reassuring, if a tad intimidating, was the attention to detail - checking my insurance and making sure I had the right gear - which I guess reflects the risk they associate with this trek. It's "T3" in their grading, the most difficult in their three grade classification system. Key to the success of a trip like this is the quality of the local partner. 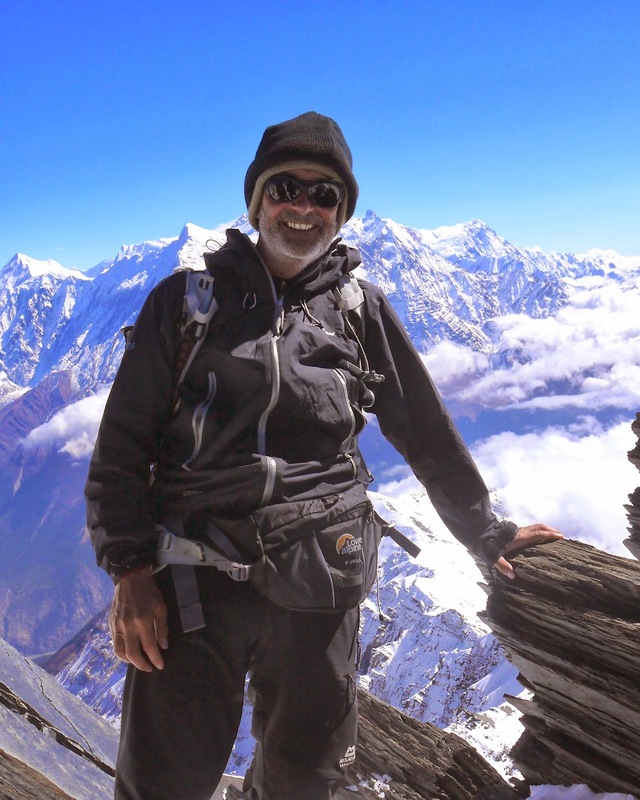 Jagged Globe has had a long and close relationship with Summit Trekking (a company with Dutch origins which also owns the Summit Hotel in Kathmandu, definitely the best hotel I've stayed in there) and the quality of the crew provided was very high. I was particularly impressed by the speed at which a helicopter was called in to take out a sick porter from the Hidden Valley campsite. You can't mess about with things like this but some operators do. I can't say whether or not Dhaulagiri Circuit deserves a No 1 accolade, but if you've already walked the better known classics and want to challenge yourself just that bit more, then you should do it. I kept a diary on the Dhaulagiri Circuit and if you want to know how it felt each day, warts and all, then click through the following links. Can you tell me when you did that trip (I couldnt find it in your diary). We want to go there in 2015, but still hesitating if it's better in spring or in autumn. Thanks for your diary - it inspired me a lot. Hi Martin, thanks for the comment. I did it in Autumn 2013. It's a tough call - spring is supposed to be a bit warmer but can be cloudy and Autumn colder but clearer. Either way have a great trip. Awesome post and absolutely stunning pictures! Thank you for the great info. My husband and I are considering this for 2015 as well! Great blog and stunning photos. I wondering if I could use your experience, as am doing the trek in October this year and unfortunately my trusted walking boots have fallen apart. I was wondering if you could tell me the quality of the terrain that most of the time is spent walking on - from your photos it looks a mix of trails and rocky ground - which is leading me towards thinking about a B1 rated boot (B0 being too flexible and B2 being over kill). Is this a fair assessment? Also what type of sleeping bag did you use - was if warm enough? The route is generally pretty good (the porters manage it with massive bags) although it depends on the weather and how much snow you get. I hired Scarpa Vega boots from Jagged Globe, the company I went with, and used them for two days - when we crossed French Col and ascended Dhampus Peak. We had a lot of snow so we didn't need crampons but definitely needed really warm boots. For the rest of the trip I used Miendl Responds which are very light weight but more than adequate. My sleeping bag was a Rab Ascent 900 which was warm enough and I was in a big tent on my own. It's a great trip and I'm sure you'll have a good time. It's not a technically trip. It gets a little bit more remote than Kanchenjunga (I've done that one as well) and a bit higher, a bit tougher, but providing everything goes OK with the weather there is nothing technical on it. Because of the altitude, and the probability of snow you need plastic boots as you go over the French Col and there was a couple of places where falling debris means you also needed a helmet. You don't have to do Dhampus Peak to get round the circuit but it's not technical either. It's a great trip! Many many thanks, John ! We and my girlfriend would like to do this trek unguided. We have experience of altitude treks in Peru and Bolivia. We did the huayhuash and asongate unguided with no real problems. Do you think this would be advisable or is it the next level up? Hi Nono, I couldn't really say. The company I did it with rate it as there toughest trek so I guess that's a bit of a warning. - Full expedition is not the only option. I did it without problems solo with guide and porter, but with this lightweight outfit climbing Dhampus peak was not to be considered. A competent guide IS an absolute must above Italian camp. - Full camping is not the only option: the trek can be teahouse / homestay up to Italian camp. 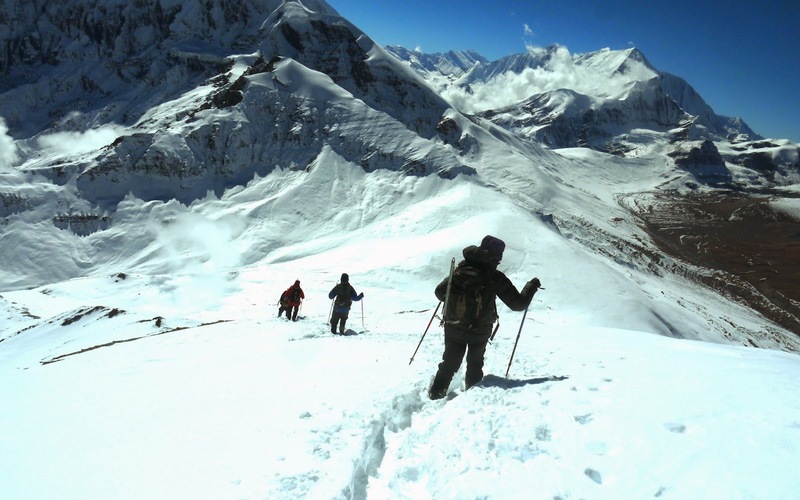 It is necessary to carry camping gear only for the two altitude nights at Dhaulagiri base camp and Hidden valley. - The motor road now goes up the valley to Khara a bit above Darbang. Any taxi from Beni will take you up there. - The mouse you threw our of your tent at Salla Ghari ate part of my guide's backpack and my porter's buff as retaliation. - The "gash" between Italian camp and Swiss camp is indeed something to be remembered! To be crossed when terrain is frozen (no missiles falling), which is not a problem in November As we were a small group, we stuck together and did not need helmets. I guess this passage may be scary in spring, and then helmets and a length of rope can help. - The Myagdi river crossing just before ascending the front moraine of Chhonbardan glacier can be an issue. For us it was just a knee-deep waddle in icy water, but I heard in spring the water can come above the waist. 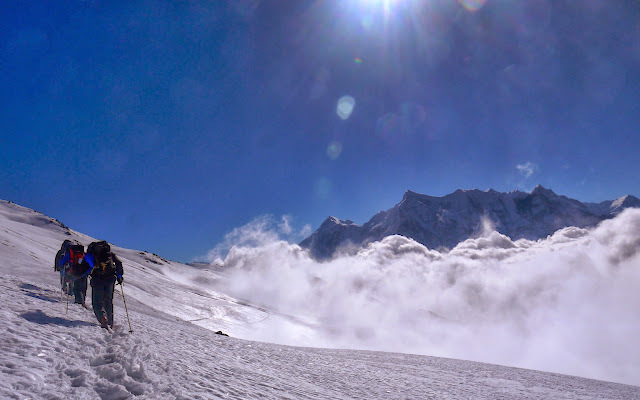 - I found the clamber up the Chhonbardan glacier to be long and tiresome. Maybe it would have been easier with an acclimatization day and climb above Italian camp. - The Dhaulagiri base camp and Hidden valley camp are sorry, dirty places. If I had to plan an acclimatization day (I didn't), it would be at the Italian camp, a lovely place. - The "knee crunching" descent from Dhampus pass to Marpha isn't any tougher than many day walks in our Alps, but comes after a crossing from Kalopani (elevation) camp to the ridge above Yak kharka, that I found to be quite exerting. - No issue with bland food! I just told my team to serve me the local fare. Dal bhat is delicious, healthy and a perfectly adapted diet for sustaining trekking effort. It's also varied: the soup is different every day. Be sure, however, to pack some chocolate and granolas, as the Nepali team will easily skip lunch on altitude days. 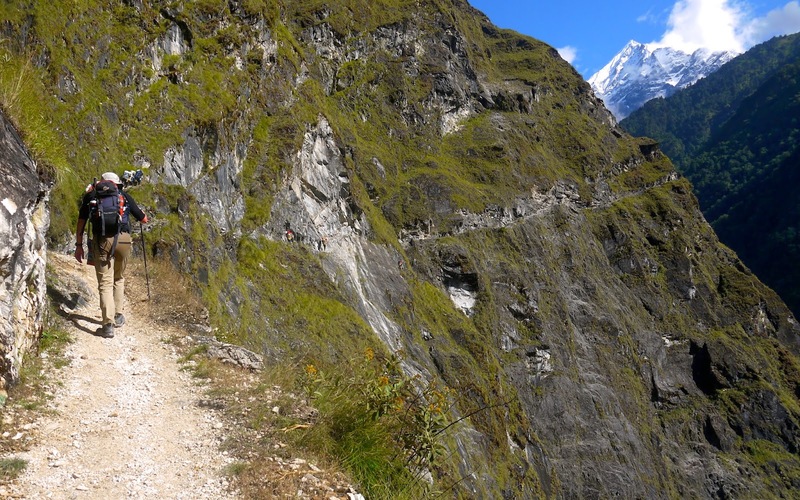 - I wouldn't go with plastic mountaineering boots on this trek. My preference goes to heavy trekking boots with fresh impregnation. I fond gaiters to be useful. No need fr crampons either but I appreciated Yaktrax cleats for icy crossings. Thanks for your description of the trek - really thorough and nice to get an additional perspective. How much snow was there this year? i suspect some of the rubbish at the base camps was covered up when I was there. Not much snow up there in November, although villagers said there had been a fair amount of precipitations in October. This was also apparent by the swell of mountain streams. I was glad to have the gaiters between Kalopani / elevation camp and the ridge above Yak kharka. On that stretch only, the snow was knee-deep. It always takes a little time until I edit everything in the blog (and it's in French). @John: Thanks so much for all of this detailed information! @Thierry: Thank you for the update. 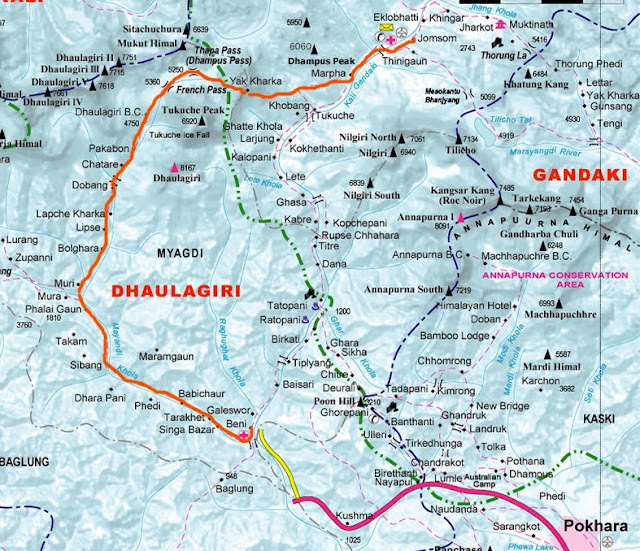 We are two persons (experienced trekkers and climbers) and are planning to walk the Dhaulagiri Circuit without a guide or a porter. For planning what to carry and reducing our backpacks to a minimum, it is necessary to know exactly if you can buy food along the way. You mention: "Full camping is not the only option: the trek can be teahouse / homestay up to Italian camp. It is necessary to carry camping gear only for the two altitude nights at Dhaulagiri base camp and Hidden valley." So my question: Do we just need to carry food for the two nights in altitude? I'm sorry I can't really help on this. I was on a fully portered trip so I'm not sure where food was available for purchase on the route.